From on-street parking to lots, there is plenty of parking in Fort Wayne, Indiana. Plus, discover some helpful tips for when it feels like parking is a scarce commodity. Parking is abundant in the city, you just might have to look for it! Free Parking is available after 5:00 pm and the max amount you’ll pay during the day is $8/day. The Visitors Center suggests parking in one of the public garages, on the street at a meter, or some of the lots like at Headwaters Park or Lawton Park. Just remember to check if there is a festival before parking in the Headwaters Park lots. If you need a parking map, here is a handy printable map, or visit the Downtown Improvement District parking page! If you’re staying at a downtown hotel, consult the front desk on where they recommend their guests park. All downtown hotels have a parking garage close by that you can park and pay. 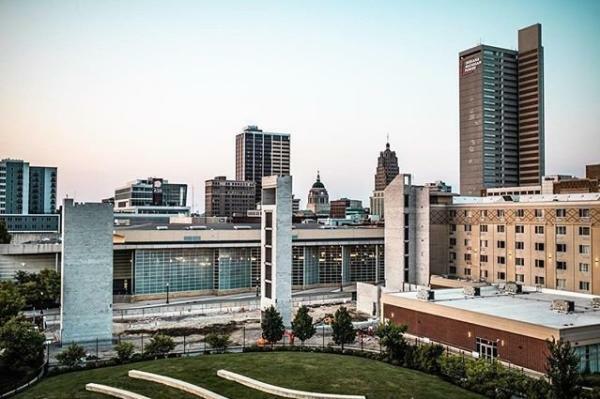 If you’re making your way to downtown Fort Wayne for an event, parking is available in all of the public garages, on-street meters, and lots mentioned above - unless stated otherwise by event organizers. Event parking can feel frustrating at times, but we recommend you plan to arrive early for parking and have a back-up plan. Insider Tip: if you’re enjoying an event on the weekend or after 5 PM, all meters are free, plus the Allen County Public Library, lots offer convenient access and cost only $1/hr. Or, the Ash Skyline Garage is centrally located and offers convenient access to many events and activities. 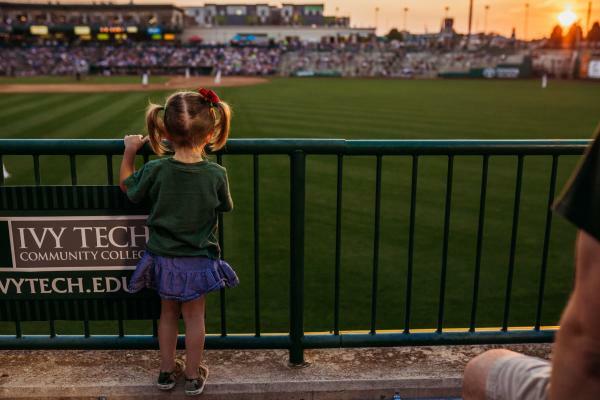 Coming downtown for a TinCaps baseball game? Then we recommend parking in the lots south of ballpark noted by signs. 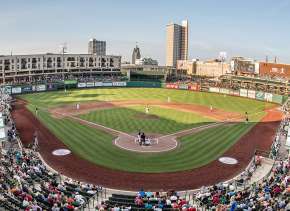 The TinCaps offer preferred parking to those with specific passes, and lot parking for only $5. 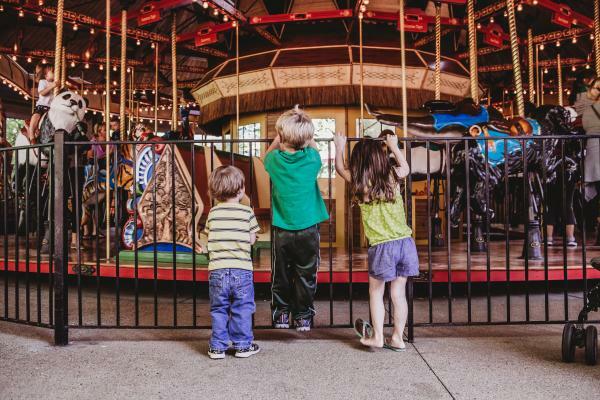 If you’re exploring some of Fort Wayne’s great attractions like Science Central, the Botanical Conservatory, or the Fort Wayne Museum of Art, then parking is typically free, unless an event is taking place. Science Central and the Fort Wayne Museum of Art both offer parking lots for free to their guests. 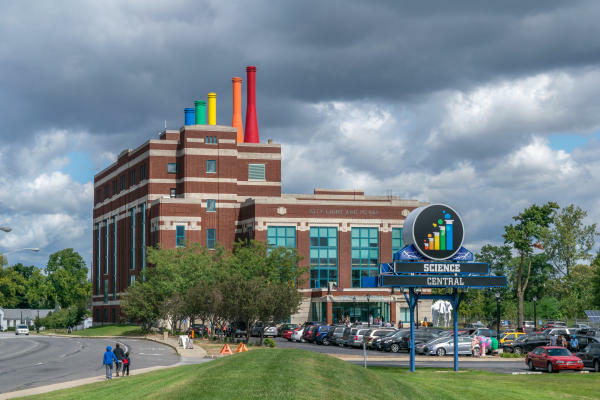 Science Central’s parking lot is located off of Clinton Street, and they have overflow parking available in Lawton Park. Fort Wayne Museum of Art has a parking lot located just north of their building and can be accessed off of Main Street. If you plan to explore the Botanical Conservatory, park in the Civic Center Parking Garage, and remember to take your parking ticket with you - the Botanical Conservatory front desk will be able to validate your parking pass! Most facilities located outside of downtown Fort Wayne have lot parking, which offers FREE and convenient access. 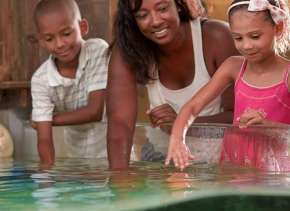 The Fort Wayne Children’s Zoo has a couple of different parking lots for you to park. You can park in the lots just south of the entrance in Franke Park. They have a lot across Sherman Blvd. and overflow parking at the Foellinger Theatre when the theatre is not in use. When you plan to attend an event at the Allen County War Memorial Coliseum - maybe it is a Mad Ants Basketball game, a Komet Hockey game, or the Vera Bradley Annual Outlet Sale - make sure you bring $6 cash to pay for parking in their lot. You can enter their lot off of Parnell Avenue or Coliseum Blvd. 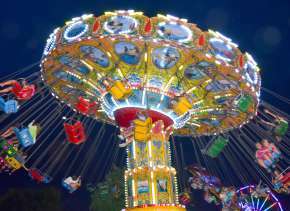 The same parking fee is also enforced for events like the Johnny Appleseed Festival that takes place in the Johnny Appleseed Park. 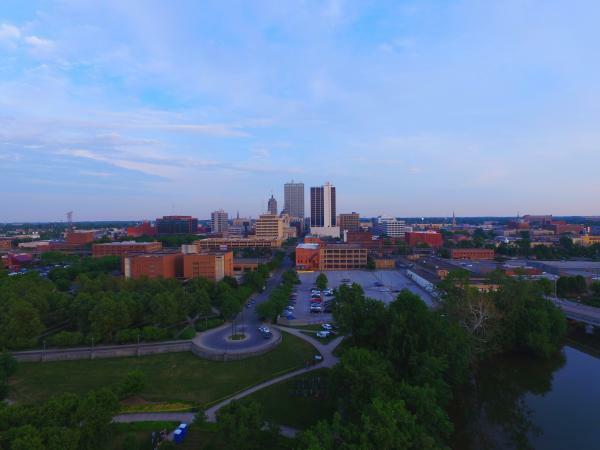 When you explore all of Fort Wayne and Allen County parks located outside of downtown Fort Wayne, parking is available in a designated lot or neighborhood street parking. 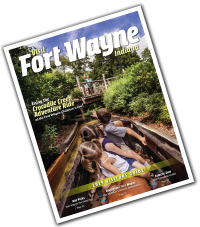 As you go to some of Fort Wayne’s great events, dine at our wonderful restaurants, or explore attractions, use this parking guide to help you prepare. And, remember to bring an open mind and plan B, as many times, parking can fluctuate due to construction, events happening all at the same time, and many other circumstances.